Teak wood elephant hand carved over 50+ years ago. 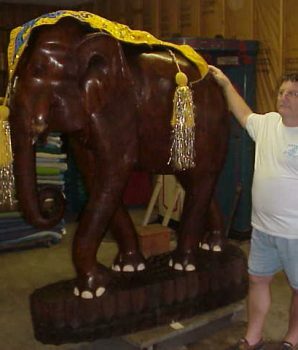 This elephant was in the foyer of Famous Annituqes Bar and Grill in Jacksonville, Florida. 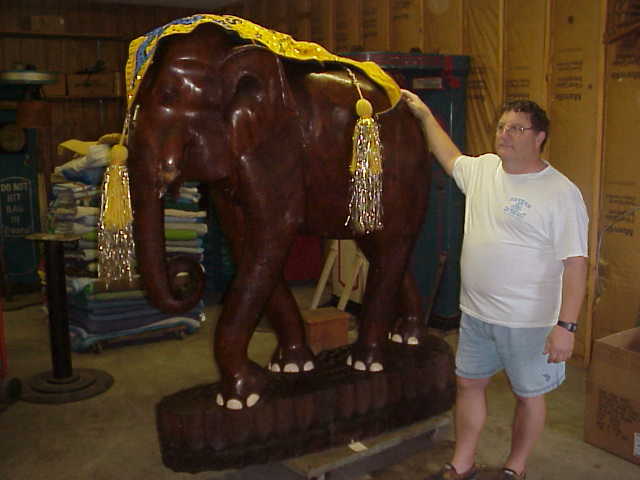 Elephant stands approximaltey 6 feet tall and 7 feet long.